Discussion in 'Co-Op Forum' started by Ajk, Feb 11, 2019. Hi all! I'm shooting for a ticket to the event and offering up a coop on the pins as I did with the last event. Unfortunately, they don't have any cheap ticket options this go around so a bit more expensive than last time. As such, I need buyers for everything before I get the ticket and will be asking for payment up front a day or two before tickets go on sale on February 25th (I will immediately refund if I don't get a ticket.) Due to the high cost of the ticket, Coop fee for this one will be $10. That's about it. I wanted to get this up quickly. Will add pictures tomorrow, but feel free to start signing up. I would love Stitch, Baymax, and the Aristocats. Tessa, do you want to get in on this? Hey, you 2 want to get in on this too? 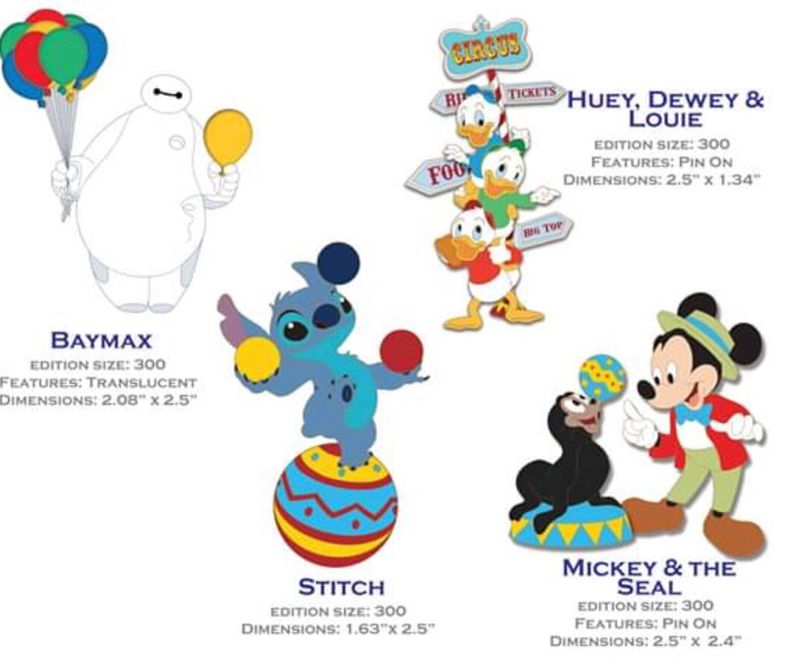 Can you please put me down for Baymax and Stitch? I’m still debating attending, so I don’t want to sign up for a co-op and take up a space just yet. 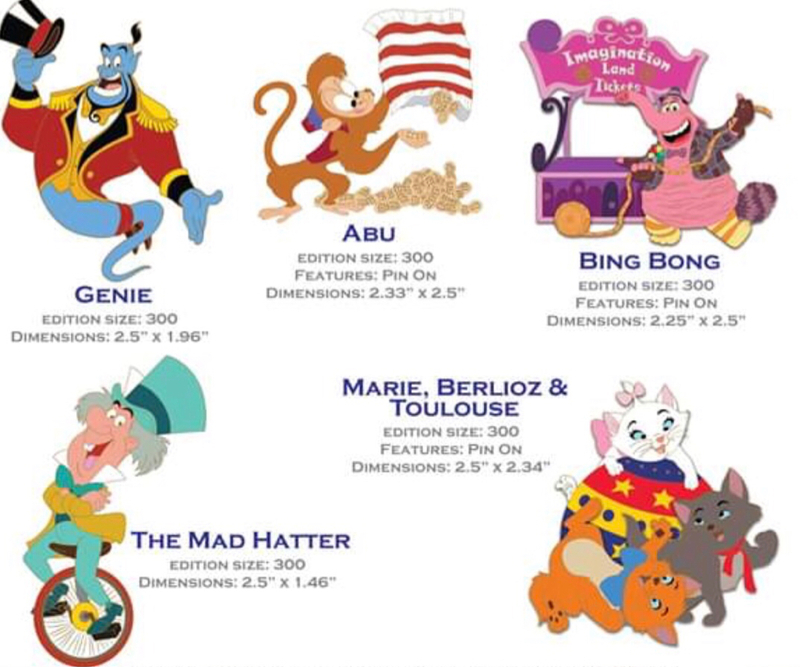 Looks like I'm a little behind on this one but if I can still get on the backup list for Stitch and Bing Bong that would be great! Can I get in for the Dumbo? The circular one. Ty! I would like to be put on the list for a color marquee. Put me down for Huey, Louie, and Dewy. I'll do Marie and Aristocats and Abu and Genie on the other. 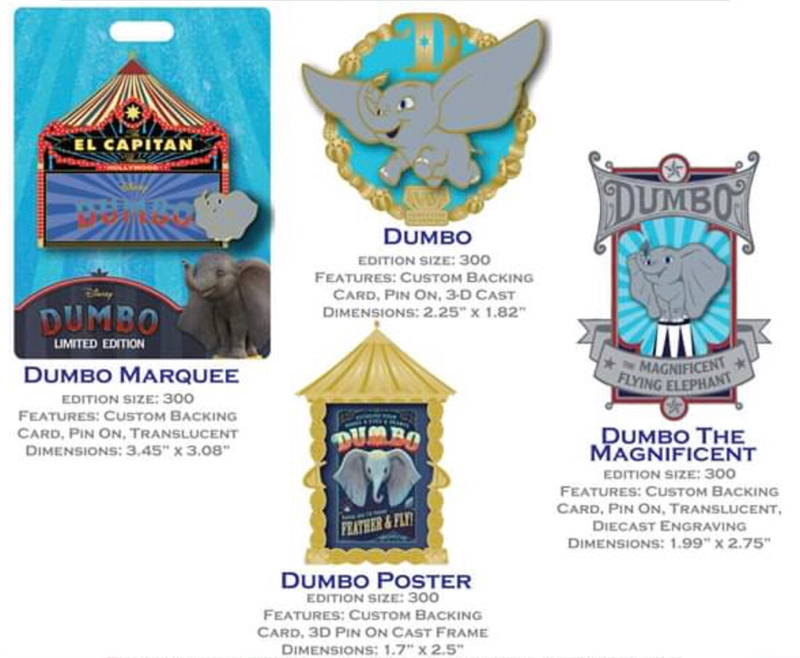 Can you put me down for all the Dumbo pins and the trading event pin? Thanks! Thanks for all the interest so far! I've updated the list to here. For folks below the dotted lines, if other folks don't bow out and you don't get the pins elsewhere, I'll move you to a "second chance" list when I get my ticket in case there's an opportunity to purchase additional pins. Can you also add me to Genie? Thanks. Dumbo sure is cute but I will sit this one out. @Ajk : just to be clear, the price listed above doesn't include the $10 per pin sponsorship fee? That is correct. The $10 sponsorship per pin is in addition, as is the $5 per order shipping. That's the same way I did it last go around. And I agree, I think the opportunity to buy additional sets is very likely. Wow. I'm surprised by the lack of love for Hatter so reducing his price. I hope he finds a good home! Ill grab the hatter. So everything is all filled up. Yay! Glad someone went for the poor lonely guy. Still got a couple open spots for 2nd sets, but looking good. There are still a couple of pins not accounted for, but enough of them have been picked up that I will definitely be going for a ticket. Therefore, I'm going to go ahead and start sending out invoices and nailing everything down. Invoices will likely be sent tomorrow so please keep an eye out for them and pay promptly if you are "above the dotted line". I'll do Mad Hatter as well.